Chrysler 273, 318 ( Excluding 1957-1967 Canadian) , 340 and 360 Engines Fel Pro Performance Gasket Fel Pro Performance Gasket is a premium sealing system and the industry’s leading brand of replacement sealing products for Race vehicles, and heavy-duty applications. 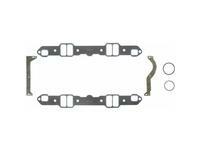 This Fel Pro Gasket specialty line is for performance, sport and marine engines. Fel Pro Performance Gasket engineers are continually pushing ahead with new sealing science, developing problem-solving products like PermaDry Plus® rigid carrier gaskets. The Fel Pro Performance Gaskets are the leader in multi-layer steel (MLS) head gasket design, the current leading-edge technology in sealing today’s lightweight engine castings with a long-term, leak proof seal called Perma Torque MLS®. Because Fel Pro OEM is a global producer of engine and sealing products, Fel Pro Performance Gasket can benefit from Fel Pro’s proven expertise in engineering and manufacturing OE components and subsystems for the world’s major automotive manufacturers. Fel Pro OEM extensive field experience gives Fel Pro Performance, insights into the expected changes in engine components over time. Fel Pro Performance designs there aftermarket sealing parts to meet your specific needs in the Performance environment. Fel-Pro® Performance Head Gasket line is the engine repair solution for high-performance engines. Fel-Pro® brand performance head gasket are specifically designed to handle higher compression ratios, special cam timing and higher operating temperatures. In addition, Fel-Pro® brand performance head gasket are ideal for engines that are supercharged, turbocharged or use nitrous oxide. In the brutally tough environment that typifies a performance engine, Fel-Pro performance head gaskets deliver superior sealing performance. Fel-Pro performance exhaust header gaskets, the performance version of an exhaust manifold gasket, resist blowout and burnout and provide good exhaust flow. Fel-Pro performance exhaust header gaskets consist of a high-density fiber facing material attached to both sides of a perforated steel core. 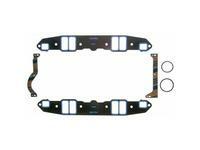 This design provides a durable gasket that will seal slightly warped surfaces. Also, we use an anti-stick coating that allows the gasket to move without sustaining damage and helps the gasket accommodate the expansion and contraction of the head and headers. Fel-Pro performance intake manifold gaskets must prevent air, oil and dirt from being sucked into the intake ports and prevent coolant from leaking out of the coolant ports. For performance engines, this is complicated by the variety of aftermarket cylinder heads and intake manifolds in use. Fel-Pro performance intake manifold gaskets have been tested for use with most all aftermarket cylinder head and intake manifold combinations. In addition, most Fel-Pro performance intake manifold gaskets do not have a metal core, which allows engine builders to trim the gasket to ensure an exact fit on modified ports. Fel-Pro offers a solid-core intake manifold gasket for high-vacuum race engines, as well as performance applications that have a long expected service life — i.e., street machines, marine use or tow vehicles. The solid core provides extra strength and stability, and the gaskets come in proven port shapes used in race intake gaskets. Fel-Pro engineers have developed a complete line of performance valve cover gaskets using a variety of technologies and materials to ensure a proper seal in performance applications. The available options make it easy to find the ideal gasket to meet specific requirements for application suitability, features and cost. Fel-Pro Performance R.A.C.E. Gaskets: R.A.C.E. (Remainder to Assemble Complete Engine). 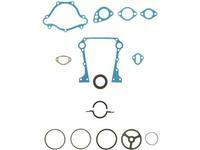 These sets include the gaskets that, used in conjunction with oil pan gasket sets, complete lower engine service. Each set includes the rear main bearing seals, timing cover gaskets and seals, and water and fuel-pump gaskets needed to complete the repair job. Fel-Pro offers a wide range of R.A.C.E. 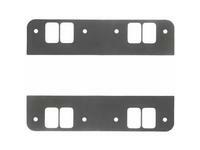 gasket sets that will fit most popular performance engines. Fel-Pro offers three varieties of performance oil pan gaskets, each designed to meet the tough demands required to rebuild or repair high-performance engines. Select a design for details about features and benefits. 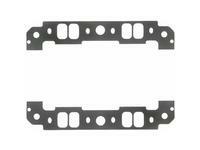 Fel-Pro Performance Head Gasket Part Number 1008. 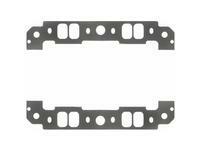 This Fel-Pro Performance Head Gasket Part Number 1100 fits W8 with 18-bolt heads. This Fel-Pro Performance Head Gasket Part Number 1101 fits W8 with 18-bolt heads. 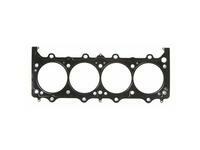 This Fel-Pro Performance Head Gasket Part Number 1102-1 fits W8 with 18-bolt heads and an extra large bore. Performance Head Gasket Bore 4.080", Compressed Thickness .039"
This Fel-Pro Performance Head Gasket Part Number 1127 fits W8 with 18-bolt heads with Valve pockets. 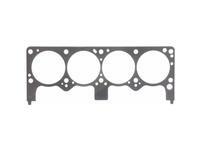 Performance Head Gasket Bore 4.210", Compressed Thickness .046"
This Fel-Pro Performance Head Gasket Part Number 1186 fits W9 heads "A" aluminum block. 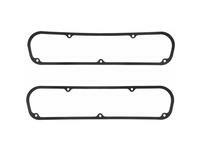 This Fel-Pro part Number 1213 Performance Intake Gasket fits 1967-1989 318 engines with 2 barrell heads and 1968-1980 340 & 360 engines. This Fel-Pro part Number 1213S-3 Performance Intake Gasket fits 1967-1989 318 engines with 4 barrell heads, 1968-1980 340 & 360 engines. This Fel-Pro part Number 1243 Performance Intake Gasket fits 1966-1969 273 engines, 1967-1989 318 engines with 2 barrell heads. 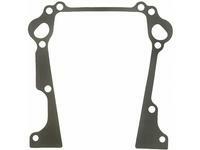 This Fel-Pro part Number 1300-2 Performance Intake Gasket fits W7 and W8 heads. 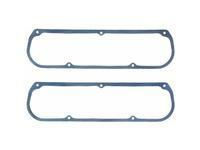 This Fel-Pro part Number 1300-3 Performance Intake Gasket fits W7 & W8 heads. 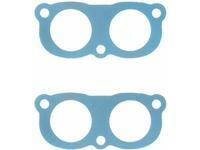 This Fel-Pro part Number 1300-4 Performance Intake Gasket fits W7 & W8 heads. 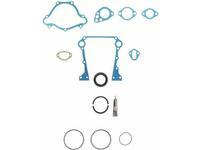 This Fel-Pro part Number 1300-5 Performance Intake Gasket fits W7 & W8 heads. 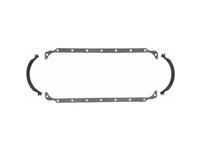 This Fel-Pro part Number 1378-1 Performance Intake Gasket fits W8 Nascar truck engines. 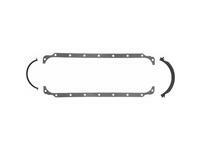 This Fel-Pro part Number 1378-2 Performance Intake Gasket fits W8 Nascar truck engines. 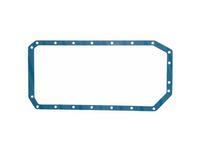 This Fel-Pro part Number 1378-3 Performance Intake Gasket fits W8 Nascar truck engines. 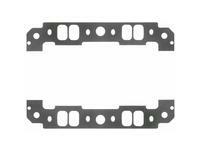 This Fel-Pro part Number 1378-4 Performance Intake Gasket fits W8 Nascar truck engines. 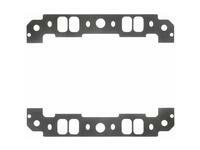 This Fel-Pro part Number 1378-5 Performance Intake Gasket fits W8 Nascar truck engines. 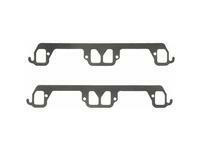 This Fel-Pro part Number 1432 Performance Exhaust Header Gasket Set fits 273 & 318 engines with 2 barrel heads. 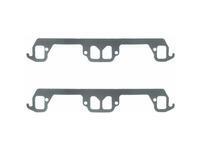 This Fel-Pro part Number 1465 Performance Exhaust Header Gasket Set fits P5 cylinder heads. 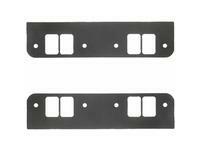 This Fel-Pro part Number 1480 Performance Exhaust Header Gasket Set fits W9 heads. 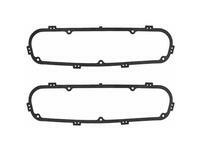 Fel-Pro part Number 1607 Valve Cover Gasket Set. 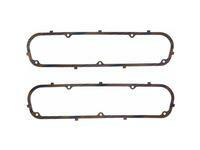 Fel-Pro part Number 1608 Valve Cover Gasket Set. This Fel-Pro part Number 1609 Valve Cover Gasket Set fits Chrysler V8 Small Block 273, 318, 340, 360 engines excluding W8 heads. 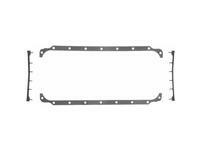 Fel-Pro part Number 1646 Valve Cover Gasket Set. 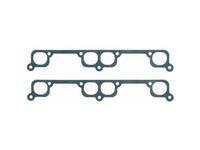 This Fel-Pro part Number 1650 Valve Cover Gasket Set fits W8 heads. 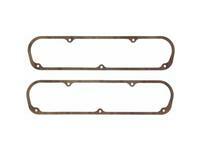 This Fel-Pro part Number 1805 Oil Pan Gasket Set fits 1964-1969 engines. 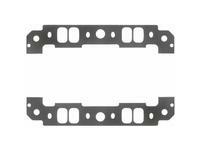 This Fel-Pro part Number 1806 Oil Pan Gasket Set fits 1970-1991 excluding 360 engines. 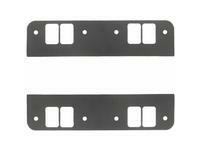 This Fel-Pro part Number 1807 Oil Pan Gasket Set fits 1971-1990 360 engines and R block. 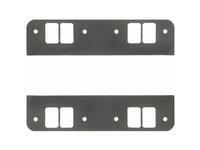 This Fel-Pro part Number 1850 Oil Pan Gasket Set fits "A" aluminum blocks. 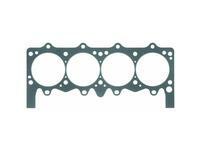 This Fel-Pro Timing Cover Gasket Part Number 2332 fits W8 timing cover gaskets.